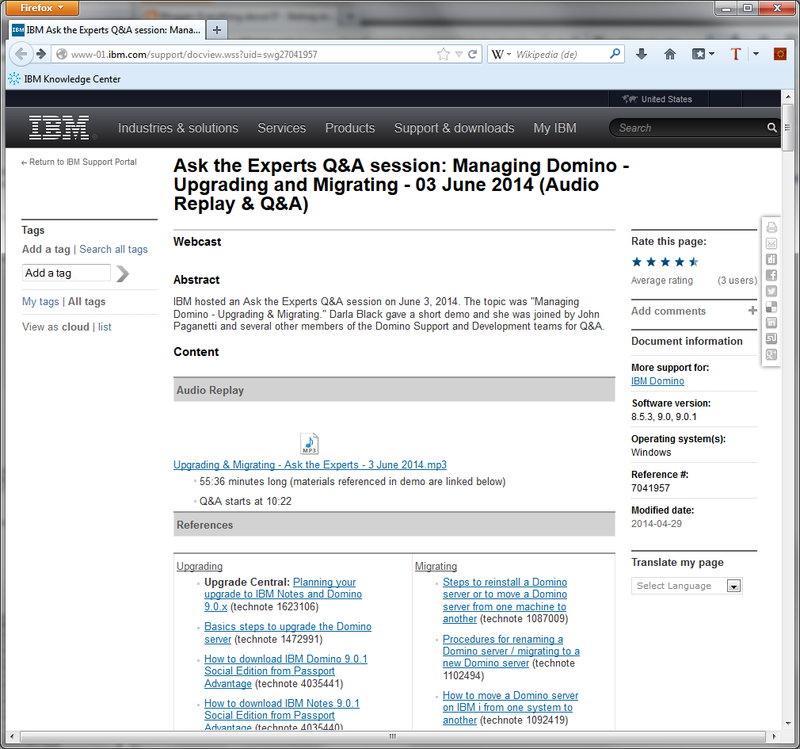 IBM hosted and Ask the Experts Q&A session about Domino Upgrading and Migration on June 3, 2014. The Audio replay and the transcript of the FAQ is now available on developer works. Very Interesting questions and answers. If you upgrade your Domino infrastructure in the near future i strongly recommend to listen to this session.